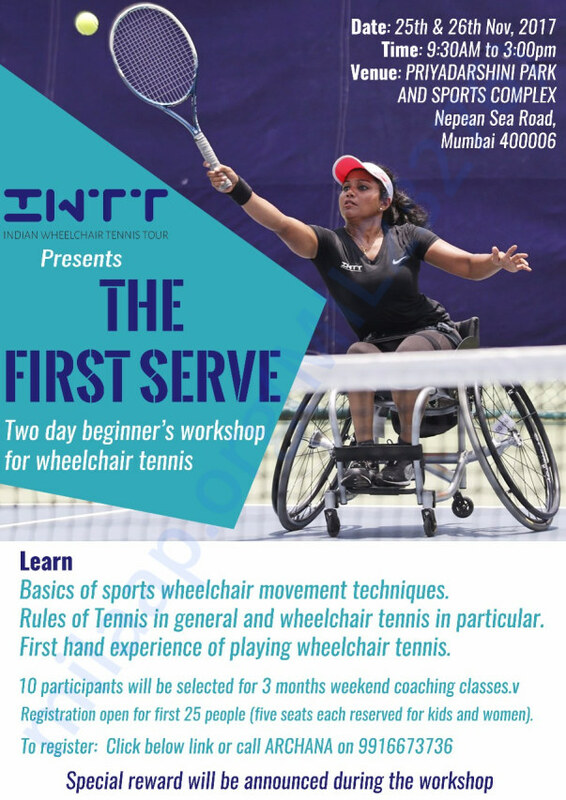 Khushi from Mumbai learnt about Wheelchair Tennis after she read about Tabebuia Open, India's first AITA Ranked Wheelchair tennis Tournament. She saw her dream taking wings. She approached IWTT on Facebook and expressed her passion , commitment and willingness to practice this wonderful sport. As she got determined to find tennis courts in Mumbai, it became more and more evident that she has to learn accepting NOs and yet keep looking for what she wanted. Finally she found her playing court and the coach . With her struggle to see her dream come true, we realized there are many like Khushi , who wouldn't have the means to go around and find a court and a coach like she did. With this in mind, we are planning to enable wheelchair tennis coaching camp in Mumbai, Delhi, Chennai, Hyderabad and Bangalore. The plans are already set in motion for Mumbai, with a workshop being conducted next month (November 2017).This requires funds to make this training program a success and to ensure its sustainability. We need help to make wheelchair tennis accessible to many people like Khushi and empower their life as sports can break any barrier. 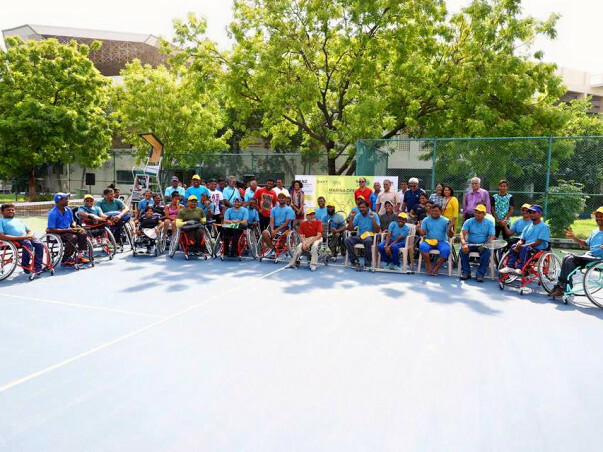 Indian Wheelchair Tennis Tour a Division of ASTHA, is created to provide a platform for the development Wheelchair Tennis in India. Wheelchair tennis is a Paralympic Sport and also played parallel to all Grand Slams. In India, the efforts to develop this sport began way back in 2010 and currently, there are about 45+ players in India in about 3 to 5 states who practice this sport. All India Tennis Association is the Governing Body for this sport in India and I W T T is formed with an intention of bringing in concerted efforts of all the stakeholders, including International Tennis Federation, such that the wheelchair tennis sport is developed in India and thousands of people with disabilities get benefited. IWTT along with AITA organised India's first AITA Ranked Wheelchair tennis Tournament, Tabebuia Open in Bangalore last year and 2nd Ranked Tournament, Marina Open in Chennai this year. IWTT is committed to enable at least 2 ranked tournaments every year but it is equally important that we start working on grass root level and develop this sport across all the states in India.